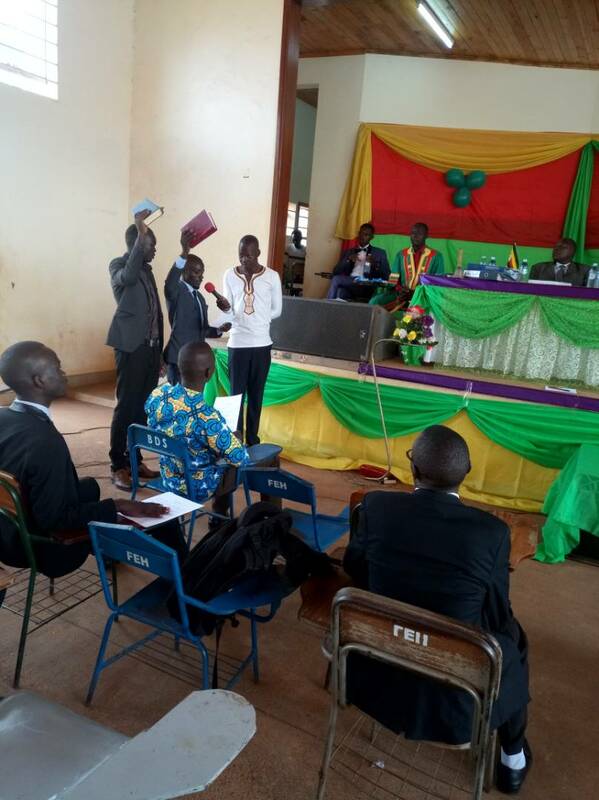 The long guild political stand-off, in the Gulu university guild government, came to an end yesterday 19th August when the Glory to Glory Gov’t under Pastor Joseph Okidi officially handed over to the Revamp government, under H.E Mbaziira Daniel. For four months now after the guild elections, the Glory To Glory government had refused to hand over on claims that the University refused to pay their allowances. 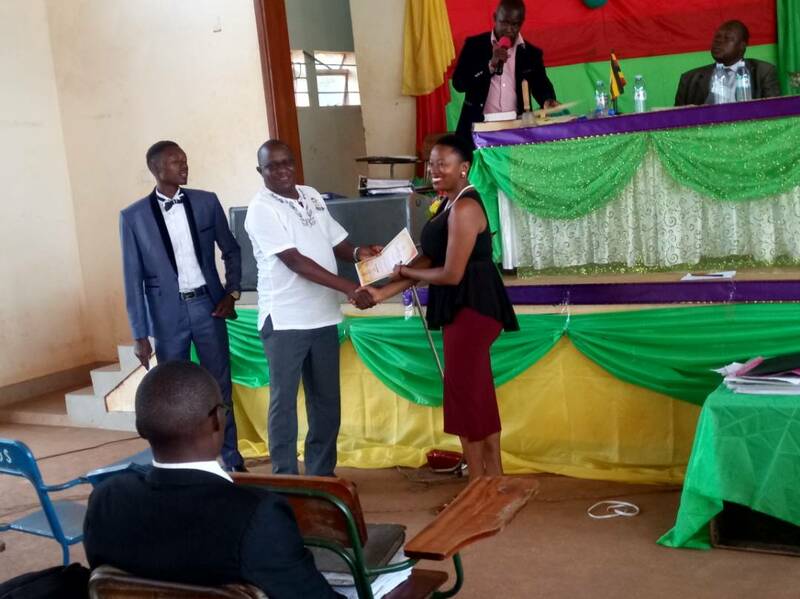 The function of handing over power and swearing in the new guild government was presided over by the acting University Deputy Vice-Chancellor (academics) Assoc. 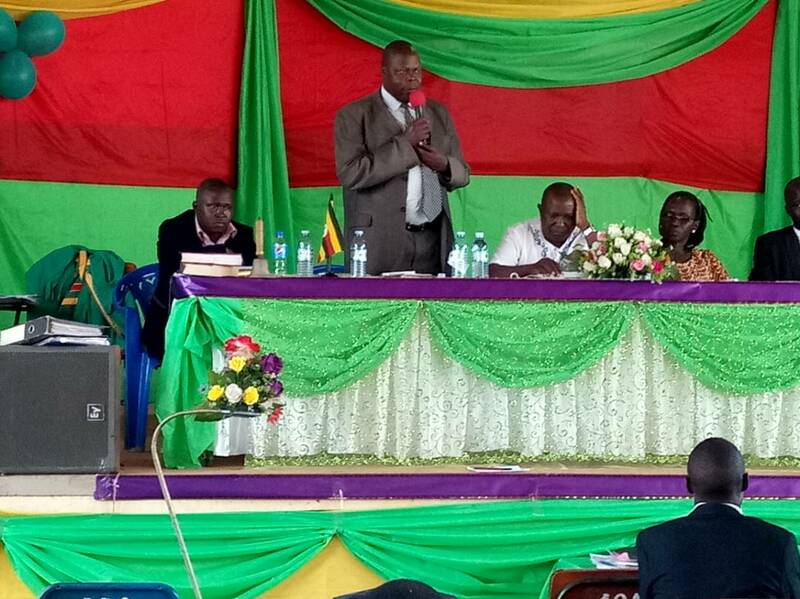 Prof Duncan Ogeng who thanked the outgoing government for their service despite hardships and asked the Revamp Government to cooperate with the administration. 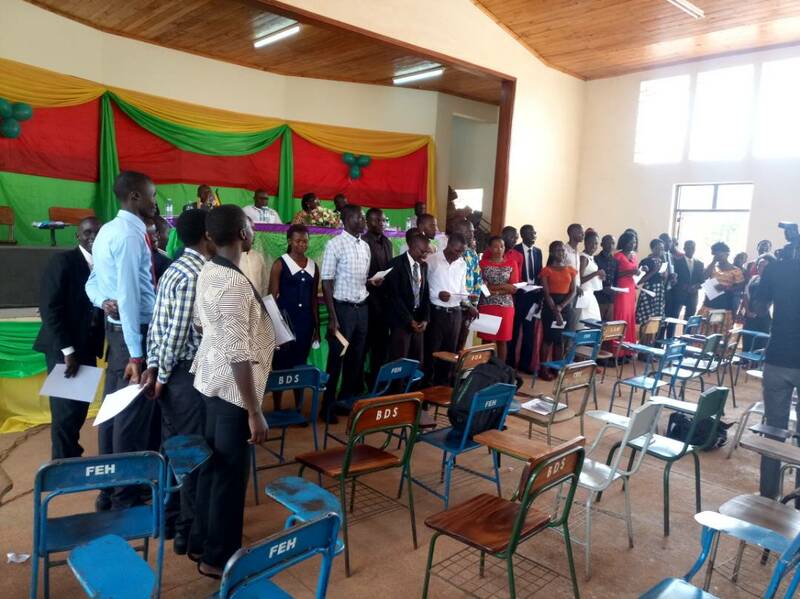 The function took place yesterday on Sunday at 2:00 pm in the university main hall, however, most officials from the outgoing cabinet didn’t grace the occasion. 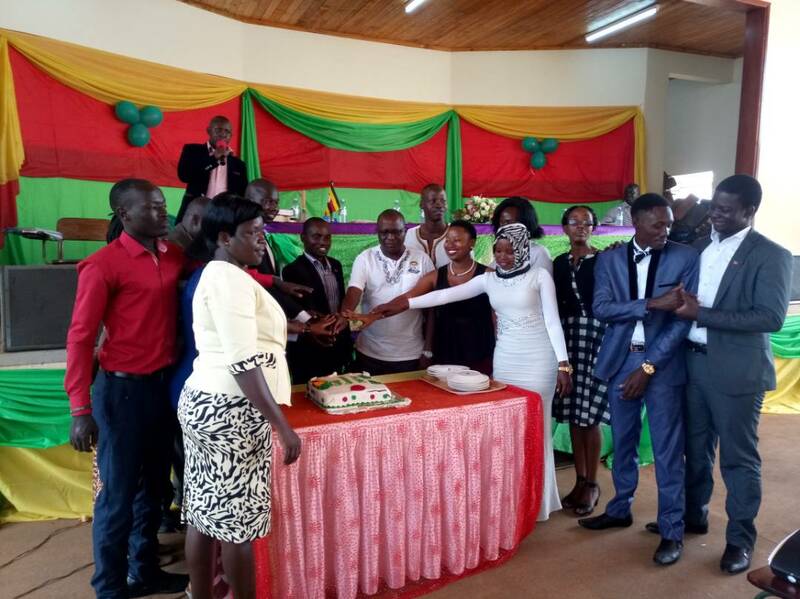 Other university administrators that graced the event include the university secretary and Dean of Students. For the past months, the caretaker government has considered the new government as ‘illegitimate’ which has frustrated the efforts of the officials in executing their duties. “It should be noted that it has been 112 days from the date of my election and guild officials have been operating amidst being tagged ‘illegitimate government’ by some university officials”, said H.E Mbaziira Daniel, the Guild president of the revamp government. He added that despite the hurdles, they have done tremendous work including execution of their duties without offices. The Guild President confirmed that the allowances for the former guild officials were cleared last week and that’s when they agreed to handover. He said that he will not ask for more time, in office, other than that in guild calendar.